The Oblique Side Tab V File Folders come with a 6 inch pivoting magnified file label. The magnified file labels make finding your desired folder quick and easy from a distance and allow users to use fonts up to 24 pt. Another great feature is that the labels come in six colors to organize and categorize your files for quick retrieval. 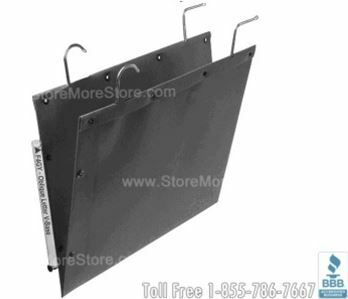 Oblique Side Tab V File Folders are the most durable file folder on the market today because they are made of 220 gram ph neutral tear proof kraft manila that is designed to hold 20 pounds in weight. They are guaranteed to last because they come with an unparalleled 10 Year Warranty. The steel hooks, snaps, and rivets provide maximum strength. StoreMoreStore sells Oblique Side Tab V File Folders well below the list price, which translates to massive savings for you! The Oblique Side Tab V File Folders will also save floor space because they can easily fit onto open shelves, which removes the need for multiple lateral or vertical file cabinets. By storing your files in less space, you can save on how big your storage area needs to be, which saves on overhead costs. Buy Oblique Side Tab V File Folders Online Today! 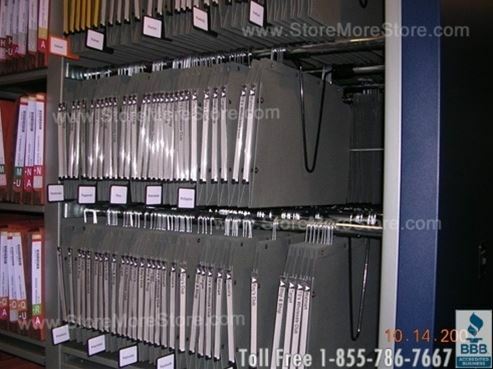 Visit StoreMoreStore today to shop for Oblique Side Tab V File Folders! If you are not sure which folders are right for you, call us at 1-855-786-7667 and we help make sure you get what you need.